Registering for a wedding or baby can be overwhelming. I personally had FUN when registering for our wedding, but doing it for another human...who seems to need A LOT of stuff, that's a whole different story. But, after going through the registry process for baby, I found some things that helped us and want to pass along to others who may benefit from someone who's been through it. I have seen some on Amazon, of course Babies "R"Us and other sites, but the most useful ones I found were on Pinterest. Stores and websites obviously load there's jam- packed, because they are smart and want you to buy ALL THE THINGS. A nice comprehensive list that is resourceful but not too loaded is always a good way to go. It's hard because you don't know if your baby is going to need a swing and a bouncer or whether they will like a glider or a rocker better for night-time feedings, but those are decisions you can make as you go along, or right out of the gate and always return or exchange something later. Some people like a variety, which we opted for when registering for our wedding. Some stores or sites just don't have it ALL. 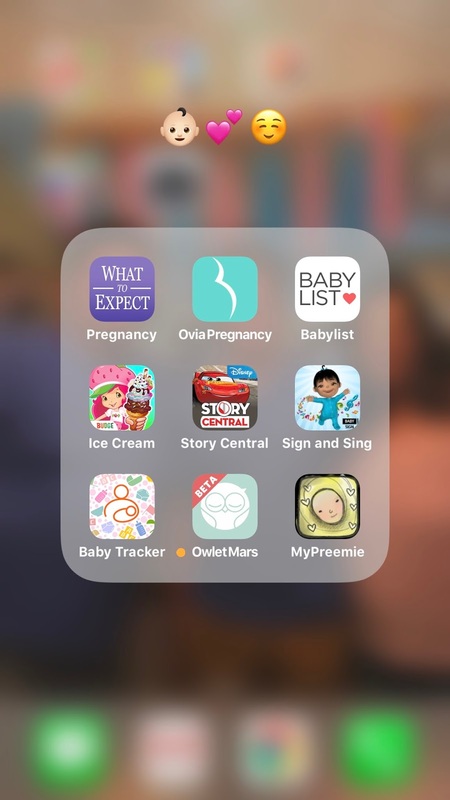 For our baby registry, we opted to go with BabyList for multiple reasons. The first being, you can add things from any website all to your registry with one easy click. BabyList also gives you prices around the web and tells your guests or buyers the cheapest place to get the item they are looking at. Lastly, I just couldn't agree with places like Babies "R"Us charging double what you can find on Amazon, and honestly, most of the things on our registry are from Amazon. I enjoyed that I could add things from Etsy, like the baby mobile and some cute bows in addition to decor from Pottery Barn and some supplies from places like Nordstrom. It's the best of everything all in one place, making it easy to organize. We also loved that they have an app- which is easy to view, add, delete or modify things for your registry! You can check out our registry here and let me know what you think- the majority of opinions I've heard are that people enjoyed browsing it and that BabyList was easy to use, which makes me happy to hear. Prioritize what you need for baby, and then add your wants...make that list. Use the checklist you have found, and decide which things you may want to purchase right away and the ones you would like to add to the registry. For example, we purchased the crib because it's something we wanted here sooner in order to paint and get ready for baby girl's nursery. We originally had more decor on the registry, but little by little I removed things to make it more simple. I think rooms can get busy real quick, and once I took inventory of things I already had, like a mirror and her Dream Big sign and a few other little things it made me realize we didn't need everything that was on that list. So, review your list before making it public and decide on what you really need and want for baby. This is your little love, make the process fun! It definitely can be overwhelming- I remember asking Chuck do we REALLY need all these things? And sometimes asking the question alone can make you feel like a bad parent, because they're your baby- of course you do! But, find the fun in it. We had a good time looking for books to add- they're are SO many cute ones out there, and adorable coffee cup teething toys and picturing baby in a cute chair at her big brother's soccer games next Summer. Think of all the FUN that's to come and take your time composing the registry. It doesn't need done in a day...browse items, keep your checklist handy, but make it an enjoyable process for everyone involved! When you feel stressed, take a break and come back to it the next day. 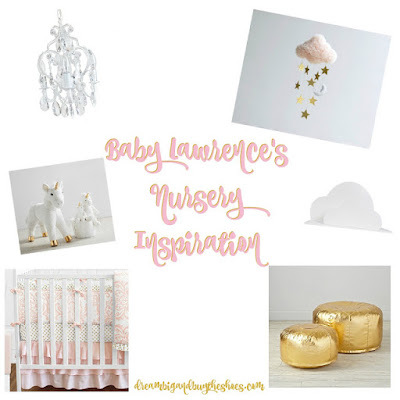 If you missed it, you can see our baby girl's nursery inspiration and why we added certain items to the registry. 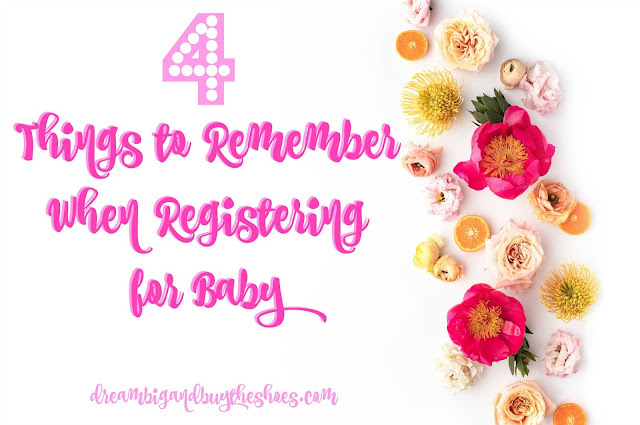 There's my 4 big tips to remember when registering for your baby... I hope it helps you or someone in your life who needs the advice! Today is scheduled to be Baby Lawrence's grand entrance, please keep us in your good thoughts that she arrives safely. Thank you for all your well wishes along our journey- we truly appreciate this community of friends and sweet readers!